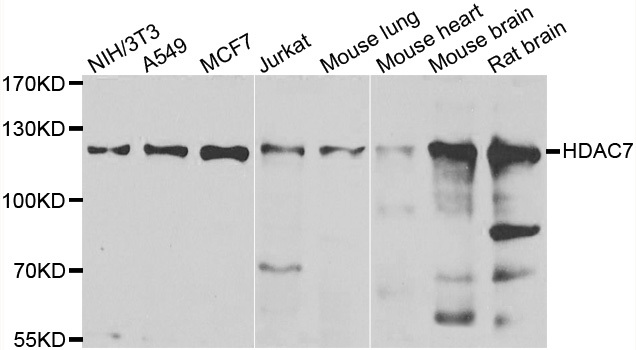 WB analysis of HDAC2 Monoclonal Antibody with HeLa lysates (A-4002). Histone deacetylases (HDACs) play a critical role in transcriptional repression of gene expression in eukaryotic cells through catalyzing the hydrolytic removal of acetyl groups from histone lysine residues. Three distinct families of HDACs have been described, comprising a group of at least 20 proteins in humans. 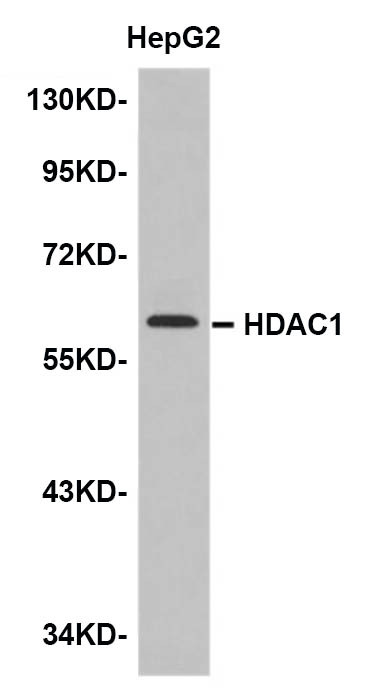 HDAC2 is a class I histone deacetylase. Oehme I et. al. (January 2009). Histone deacetylase 8 in neuroblastoma tumorigenesis. Clin Cancer Res. 15(1):91-9.